Michigan Optometric Association is a member organization serving as liaison with industry, business, labor unions and governmental agencies to insure the inclusion of optometric services in paid eye care programs and the quality of those programs. Located Lansing Michigan The MOA was established to serve the Michigan Optometric industry over 100 years ago. Services are available to both individual practices and professional services and offer legislative representation and continuing education to all members. Membership with the MOA is in conjunction with American Optometric Association and all benefits are shared across both entities. 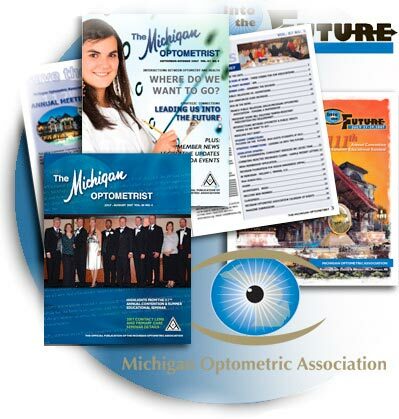 Members receive a bi-monthly issue of The Michigan Optometrist magazine and may participate and attend the annual conventions.